Blogging is a effective way to engage and educate your target audience. But once you hit “publish” on a blog post, how are you going to attract readers? And once people are reading your posts, how can you tell if the posts are meeting your goals? Let’s explore a few options for distributing blog posts and how to track the results. To begin with, if you want to drive traffic to your blog, add it to the navigation of your practice website so it is visible from the homepage. You can also add it to the homepage on a slider or in its own section on the homepage highlighting recent posts. Also add your blog URL to your employee email signatures. Certain employees may have many interactions with patients (and potential patients) and each signature is a chance to promote your blog. Every blog post should have at least one image associated with it that can be shared on other platforms. Breaking up blog posts with images or supporting graphics helps maintain attention as well. When it comes to sharing posts on social media, Hubspot analyzed its clients’ accounts and found photos on Facebook generate 53% more Likes than the average post. If you put a link on Facebook, a thumbnail image is generated but that is not as effective as adding a photo with a link in the caption, see image below. Hubspot also tested posts with images, links and videos and found the click-through rate of posts containing photos is 128% higher than the CTR of posts containing videos or links. So don’t do your practice a disservice by not including images with your blog posts, images will grab the attention of your target audience. Use social media to share your blog posts with your followers, and make new followers. 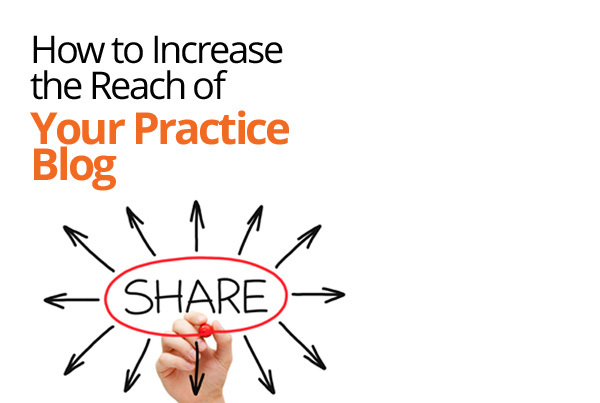 Your practice should at least be on Facebook. When you share blog posts on Facebook, it is important to remember that no matter how great your blog post content is, your Facebook followers are only going to see a photo and a caption with a link. As mentioned above, create an interesting image and write a caption that encourages a click on the link. Remember that post will be competing with every other post in your followers’ News Feed so “Check out our latest blog post” isn’t going to have the same impact as “Winter is coming! Try these 3 skincare products to protect your skin in winter months: www.yourpractice.com/blog/post”. For more tips on successful Facebook posts read, How to Make Your Facebook Posts as Attractive as Your Patients. It is important to measure the results of your posts on Facebook. Page Insights will allow you to see general activity of your page such as reach, clicks, and new Page Likes from every post, see example below. If you are looking to widen your Facebook audience while increasing blog views, consider using Facebook ads to promote your blog posts. Facebook ads are useful because you can target a very specific audience (like geographic area, friends of friends, and interests). Advertising your helpful content is also going to stand out from other companies’ ads selling their products (remember content marketing is a pull rather than push strategy). 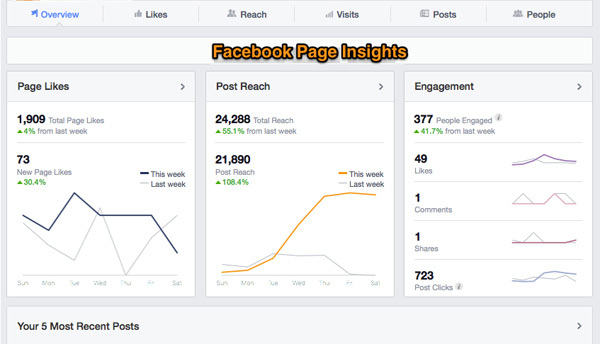 Like Page Insights, the Ads Manager will show the reach, clicks, and general activity of each ad. 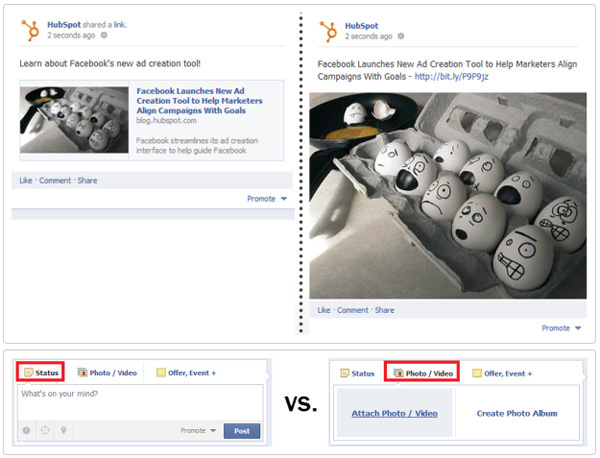 In addition, it will tell you the cost per like which will help you manage your campaign costs. It is important to see the difference between the reach of non-paid versus paid posts. If it is cost-effective, buying promoted posts could greatly increase traffic to your blog and Likes of your Facebook practice page. Email marketing is another medium to distribute blog content. Since you have already created segmented lists for your practice, you can send relevant blog posts to a specific audience. Make sure that you have an email subscription form on your blog so readers can sign up to be emailed when you publish posts which will help build a community for your blog. Email marketing is especially important, unlike Facebook posts which could be missed by followers, emails sit in their folders until the user takes action to read or delete them. With a well-written email, you can interest readers and drive traffic back to the blog post. For more information on writing effective email blasts, read How to Target Your Audience in Email Marketing. No marketing campaign should go without reviewing the results and email marketing has many metrics to measure the success of your efforts. Your email provider will include a report to analyze the results of your email campaigns. Once you start emailing regularly, you will establish benchmarks for various metrics and test different subject lines or calls to action to improve on those benchmarks. Look at the open rate and click through rate to see if your email campaigns are meeting your marketing goals. 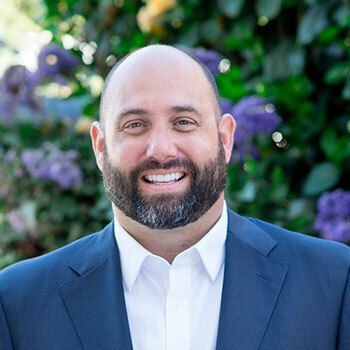 The open rate indicates the effectiveness of the subject line or timing of the email, the click through rate reflects the effectiveness of the call to action and relevance of content. For more on these metrics, read our past post on open rates and click through rates. Another metric to look at is the unsubscribe rate, which could tell you how your audience feels about the frequency of the emails, or type and quality of content in the emails. Blogging is just as much about sharing the posts as it is about publishing. There is no point to blogging if you aren’t going to invest in different mediums to bring readers to your blog. By using social media and email marketing you will be able to attract your target audience and meet your marketing goals. Don’t forget to analyze the results of your campaigns and switch up your strategy to make sure your blog is reaching the right people with the best content for their needs. For help reaching your blog’s audience, contact us.